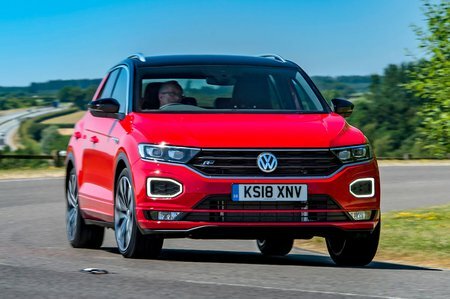 Volkswagen T-Roc 1.6 TDI R Line 5dr 2019 Review | What Car? What Car? will save you at least £1,289, but our approved dealers could save you even more. Stick to the cheaper trims and engines and the T-Roc is a fine buy. Its soft ride and practical boot will appeal to families, while its high-set driving position is just what SUV buyers crave, and something that many other small SUVs fail to deliver. However, the cheaper Seat Arona offers better value, especially against the expensive range-topping T-Roc models. Top-spec model is mostly about more aggressive styling with R-Line logos throughout, but it does add a heated windscreen and 19in alloys. The larger wheels ruin the ride and it’s far too pricey to recommend. This 113bhp diesel is pretty lethargic and buzzes away noisily, whether you're in town or doing 70mph on the motorway. We'd avoid it as a result.